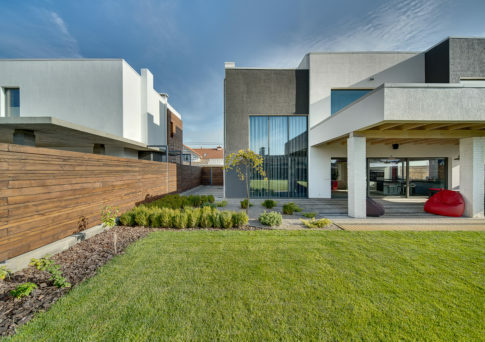 With all the renovation shows on TV, most Aussies understand that the curb appeal and landscaping of their home can significantly affect the value of their property. This means that when you have decided to put your home on the market, you need to take a long hard look at your home’s curb appeal and landscaping! So if you want to make your property more appealing, more sellable and more valuable to buyers, check out our 5 easy landscaping tips that won’t cost a lot of money and can easily be completed in a weekend. Whether you have a large expanse of lawn or just a small pocket size lawn, lush green turf is always a hit with buyers. Parents usually want an area of grass where the kids can play and kick a ball around, dog owners like a grassed area for their pets, and then there are buyers who just prefer a beautiful lawn instead of gravel or concrete. Lawns with bald & patchy spots, thinning grass and weeds, doesn’t give buyers a very good first impression. So, you either need to repair your grass or dig it all up and replace it with brand new healthy turf. It’s a good idea to talk to your local nursery about repairing your lawn, but this takes time that you might not have available, so it might be best to lay new turf as this gives your home an instant lift. A great idea to improve the curb appeal of your home is to screen the garbage bins, water tank, pool filter, clothes line and any other such areas from view. You might not have a problem with seeing the garbage bins as you pull into your drive, but this is all about turning your property into a buyer’s dream, so hiding these unsightly areas is a sensible idea. You can use lattice screens, clumping bamboo or other large screening plants, all of which add depth and ambiance to your landscaping. A screen with jasmine or wisteria in flower is a beautiful way to make the most out of unsightly spots, hiding them from view and providing buyers with something beautiful to look at instead of the garbage bins! Over time some of your plants will start to look bedraggled, some may die and others need a serious pruning. Untidy garden beds with dead plants, flowers that are past their best and are full of weeds don’t look very inviting to buyers and in fact, give an air of neglect. You can easily fix this problem by adding a few new plants, removing the dead ones and pruning others, all in one weekend. Finish with a fresh layer of good quality mulch from the local timber yard or landscape supplier and your garden beds will look as good as new. If your external areas lack a quiet shady spot for people to relax with family and friends, then a quick and inexpensive solution is to install a shade sail over the patio. Building a patio cover is most probably an expense you don’t want to consider at this stage, but a good size shade sail can be picked up for around $500 or less and will make all the difference to your buyers. Another tip is to add a shade sail to the driveway so that buyers can appreciate the additional parking. Dirty driveways and paths can be a big turn off for buyers, so an easy fix is to spend the weekend water blasting all the external hard surfaces and giving the curb appeal of your home a big boost. If you don’t already own a high-pressure water blaster, you can hire them quite cheaply from your local hardware store.